Today’s energy landscape is dynamic. October is Co-op Month and this year’s theme is “Cooperatives See the Future.” Colorado’s electric co-ops are a diverse group, but our overall focus boils down to our biggest concern: achieving our member-consumer’s energy needs, now and in the years to come. Coal-fired power plants are closing. Homeowners with rooftop solar panels are selling unused electricity back to their utility. Wind farms are springing up across Colorado’s eastern plains. Fracking and other drilling techniques have cut the cost of natural gas by more than half since 2002, and doubled the amount of electricity generated by natural gas. What does all this mean for the nation’s network of wires and power plants, otherwise known as the electric grid? The answer lies within a recent report from the U.S. Department of Energy, says Pam Silberstein, senior director of power supply for the National Rural Electric Cooperative Association. DOE’s August 2017 Staff Report to the Secretary on Electric Markets and Reliability describes the complex state of the electric grid and goes into great detail on how utility trends might affect the price and availability of electricity. It highlights the importance of retraining coal and nuclear power workers, and the effects that renewable energy has on the stability and reliability of the existing electric utility system. Another way to describe the report: If someone decided that every high school student should understand how the nation’s system of electric wires and power plants works, this study would make a good textbook. • About 15 percent of the nation’s power plants have been retired since 2002, mainly coal and nuclear plants. That trend is expected to continue due to low natural gas prices, slower growth in demand for electricity, environmental regulations and more solar and wind power. While new generating capacity from sources including natural gas and renewable energy, has amounted to about three times the plant retirements, that radical change in the energy mix requires new ways of managing the flow of electricity from the power plants where it is made to the homes and businesses where it is used. • People are demanding better reliability in their electricity, enough that utilities have supplemented their goals of reliability with a newer term, “resilience.” Basically this means getting the lights back on faster after a natural disaster. That has utilities experimenting with things like utility-scale storage batteries and more precise targeting of which customers should get power restored first. • A lot of states are passing renewable portfolio standards that mandate levels of green energy, creating a patchwork of requirements in the national grid. • New and growing additions to the electric grid are changing the way it needs to be managed. 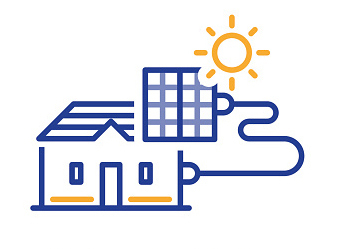 Those new power sources include rooftop solar panels that sell electricity back to the utility; natural gas plants that require new pipelines; solar and wind farms in remote areas that need to be connected with new transmission lines; and “demand response programs” in which utilities can turn off home water heaters and air conditioners for short periods during times of peak demand. • Updating the pricing arrangements that govern the buying and selling of electricity. • Reviewing regulations that limit the growth of power generation, especially for coal, nuclear and hydroelectricity. • Focusing on workforce development as energy workers face a changing energy marketplace. • Modernizing the software that manages electricity transmission. • Coordinating with Canada and Mexico to enhance electric reliability across all of North America. The study also notes the importance of cybersecurity to the electric grid, but reported that would be addressed in an upcoming joint report from the DOE and the Department of Homeland Security. October 29 will mark the 9th annual Energy Innovations Summit, hosted by the Colorado Rural Electric Association and held at the Denver Downtown Westin hotel. Attendees will have the opportunity to hear more than two dozen experts discuss today’s energy industry. Breakout sessions will explore topics such as blockchains and the power industry; EV fast charging technology; co-op battery storage projects; energy efficiency and demand response; forecasting renewable energy; and alternatives to lithium ion storage technology. The lunch session will feature Steve Collier with Milsoft Utility Solutions. Online registration and a detailed event schedule can be found at www.crea.coop. In its ongoing and innovative approach to advance the use of electric vehicles in Colorado, Gunnison County Electric Association will add three new level II (240-volt) electric vehicle charging stations and upgrade an existing station. The Gunnison-based electric cooperative was awarded a Charge Ahead Colorado grant to help with the costs of installation and upgrades in and around the Gunnison and Crested Butte areas it serves. The $36,000 grant covers 80 percent of the costs including hardware, labor and materials to install the stations. GCEA received Charge Ahead Colorado grants in previous years to assist in building the Crested Butte and Lake City charging stations. These stations are useful for local EV owners and visitors. GCEA is seeing growth in station use, especially in Crested Butte. The new stations will be located to enable greater use of existing EVs and to encourage new EV use by community members both near and far. Charging time limits will vary by station and “will be enforced to achieve a balance between facilitating participation in nearby activities and maintaining charging station availability,” according to Logann Long, communications specialist at GCEA. Fees charged to drivers at the four charging stations will vary. The project will start in September with completion by year-end. GCEA is known around the state for its progressive programs in which they loan EVs to members who want to experience an EV. The “Adopt Spark-e” program is especially successful and popular in the area. The co-op is excited to promote clean energy technologies and encourage the use of more electric vehicles in the area. For more information regarding the existing and new charging stations, visit www.gcea.coop. They aim to grab the carbon dioxide gas from the burning coal before it can contribute to climate change and turn it into something that might be part of everyday life, like concrete, plastic or liquid fuel. Dan Walsh, the senior power supply and generation director for the National Rural Electric Cooperative Association, sees value in the Wyoming research, even beyond reducing the environmental effects of coal plants. He says it would be great if we stopped thinking of the carbon in carbon dioxide as nothing more than waste. “We see a need to take carbon dioxide and turn it into a useful product,” Walsh says. That won’t only reduce waste at coal power plants, he says, but also for users of other carbon-based fuels like natural gas and gasoline. XPRIZE finalists are building labs at this Wyoming power plant where they will test beneficial uses of carbon dioxide. In May of this year, XPRIZE narrowed the applicants to 10. Five of those will set up shop later this year on the Wyoming test site. The other five will operate out of Alberta, Canada. Electric co-ops have a special stake in the Wyoming test site: the power plant is owned by Basin Electric Power Cooperative, which is based in North Dakota; and financial support comes from Colorado’s Tri-State Generation and Transmission, as well as NRECA. • BREATHE — from India, working to produce methanol, which can be used as a liquid fuel. • C4X — from China, developing new ways to produce plastics. • Carbon Capture Machine — from Scotland, producing building materials. • CarbonCure — from Canada, specializing in cement and concrete processes and products. • Carbon Upcycling UCLA — from California, making a substitute for concrete. Begger says the teams will set up to access the ductwork and piping providing flue gas from the power plant, which contains about 12 percent carbon dioxide. They’ll develop the technology to separate and convert the carbon dioxide from the flue gas and show that their projects can turn waste carbon into useful products. 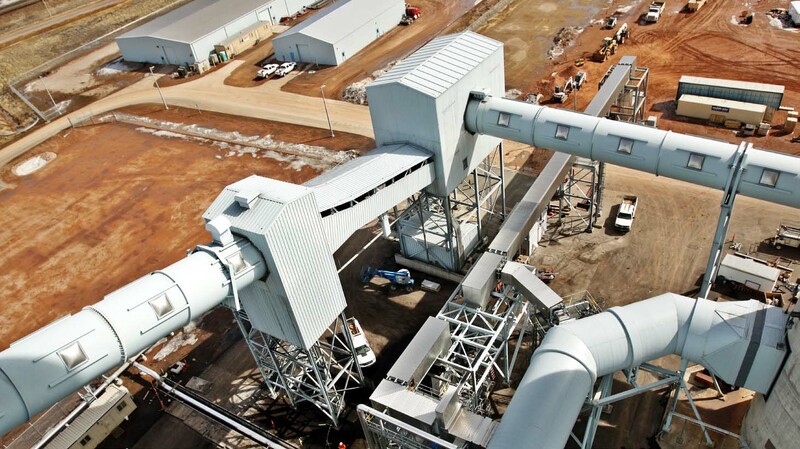 The test center project started with a state government initiative to plan for the future of the region’s coal resources, and has quickly connected to the larger worldwide effort to capture and use carbon dioxide. In June, the Wyoming Infrastructure Authority formally partnered with the U.S. Department of Energy’s National Carbon Capture Center, a testing site in Alabama established about nine years ago. That agreement will mean closer cooperation with the Carbon Capture Center’s experience and its network of experts. For years, the DOE has explored ways to remove the carbon dioxide from power plant emissions. The basic problem they’re trying to solve is the costliness of the process and the huge share of electricity produced by the power plant that it uses up. One of the longstanding ideas for managing greenhouse gases has been to remove the carbon dioxide from the power plant emissions, then inject into underground rock formations, an idea called carbon capture and storage. But the XPRIZE and the Wyoming test center take a different approach of finding something more useful to do with the carbon dioxide than storing it permanently underground. While headlines about coal and climate change are generating controversy around the globe, the Wyoming test center is heading in a different direction. Walsh credits the center’s international collaboration of government, private groups and electric co-ops with “a great vision” for rethinking one of the world’s biggest energy dilemmas. Paul Wesslund writes on consumer and cooperative affairs for the National Rural Electric Cooperative Association.